Bright and Breezy Crafts: A Christmas wedding - and a first christmas together! A Christmas wedding - and a first christmas together! 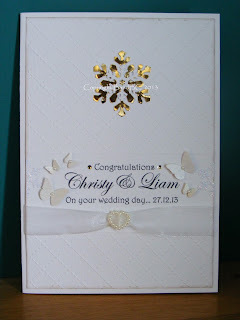 I used my new(ish) docrafts embossing folder, which is my fave at the mo! Martha Stewart punched butterflies and snowflakes. Organza ribbon with heart buckle. I was commissioned to make this card, for the daughter of a friend at work. and so Amy wanted a really special card - and asked me to make it! (behind these, I placed a Martha Stewart punched snowflake). I handcut the holly , which hangs from the ribbon. A bit of glitter and glossy accents here and there, finished this card. beautiful first Christmas card! 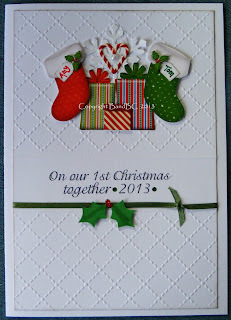 Love the image and embossing! 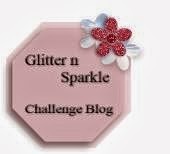 Thanks for joining us at Clear It Out Challenge blog, best of luck! Gorgeous cards Vic, both of them. Love the clean lines and simplicity.....beautiful. Thanks for sharing with us over at Little Red Wagon this week and a Happy New Year to you. 2 gorgeous cards! Thanks so much for playing in the Anything Goes Challenge at The Crafting Cafe this month! Beautiful projects. Love the simplicity and all white wedding card! Both cards are beautiful but so love the texture and laying on the second. Thanks for playing along with us over at Doodle Pantry. 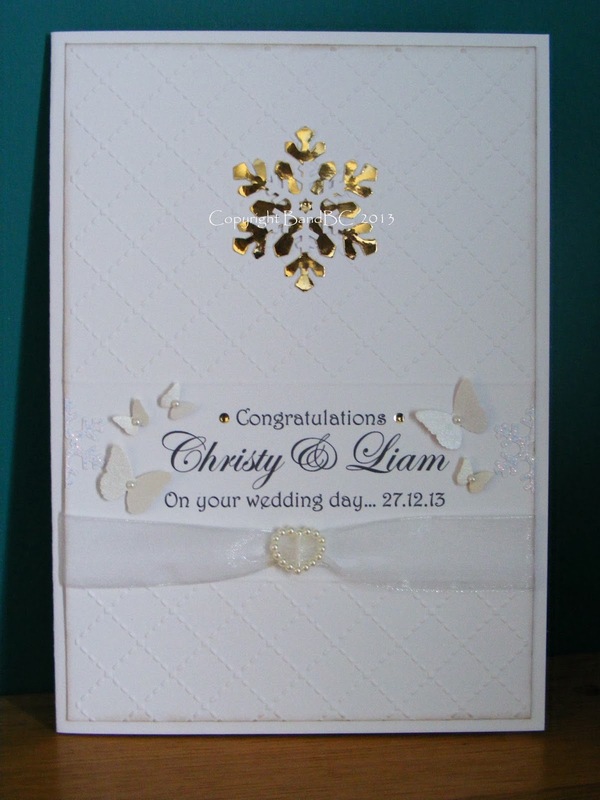 Beautiful festive wedding card! Thank you for joining us at Crafting From The Heart, hope to see you again soon. Both cards are gorgeous! I love the simplicity of them and all the white. Thanks for joining us for our Doodle Pantry Challenge hope to see you again! your cards are so clean and professional looking! Good job. 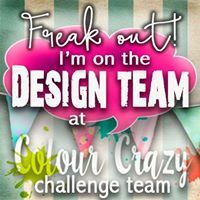 Glad you joined us for the challenge at Crafting By Designs. Beautiful cards! Thanks so much for participating in our CRAFTYHAZELNUT CHRISTMAS EXTRA challenge!! Hope to see you again for our next challenge!! 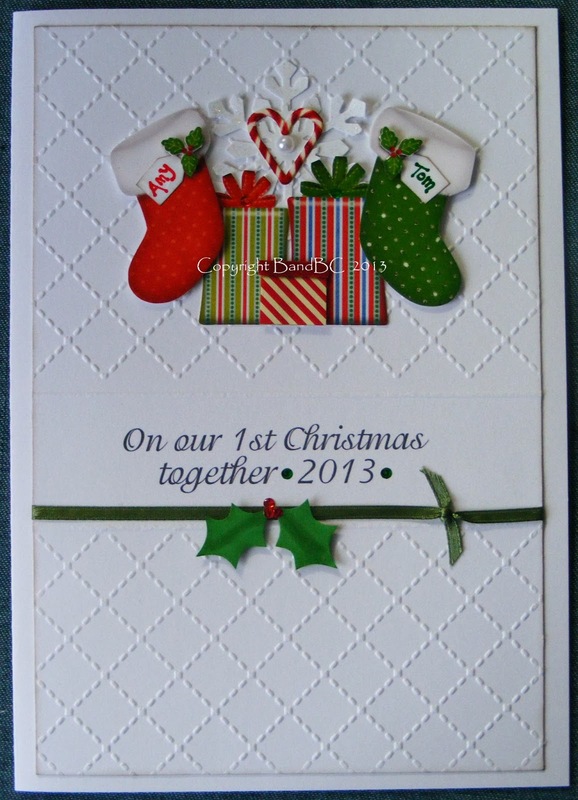 I love your 'first Christmas' card, particularly all the white space which draws attention to the colour and text. Brilliant. Thanks for joining us at the Crafting Cafe this month and good luck! Fabulous!! 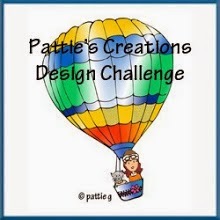 Thank you for entering Doodle Pantry Digital Challenge 42! Both cards are beautiful. I can only imagine how lovely the Christmas wedding was. How blessed. Thank you for sharing with us this month at Doodle Pantry!